Andele, a 14-year-old sponsored member from Tanzania, receives a mosquito net for his birthday. Pendo and Ashuni, sponsored children from Tanzania, sleep under a mosquito net to help prevent malaria. Today is World Malaria Day, and Unbound gives thanks to all those who make an effort to combat this potentially deadly, but preventable disease. 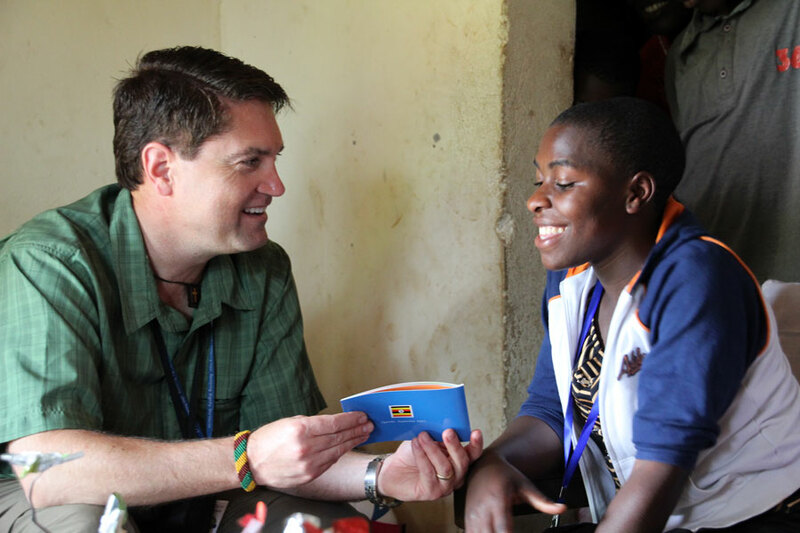 Through sponsorship, Unbound is creating change to prevent and treat malaria. Click here to read more about the fight against malaria. Want to help? Sponsor someone today and help give them access to resources to prevent malaria. 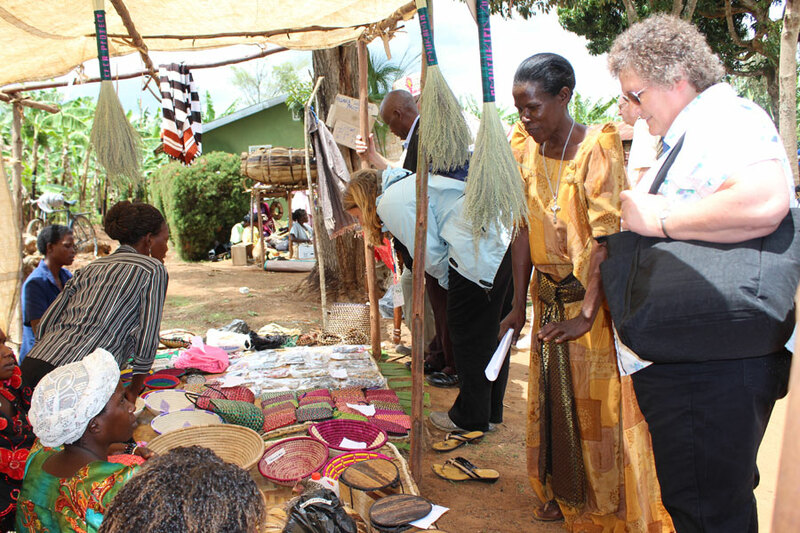 Sponsors on a recent Awareness Trip admire the wares created by Ugandan mothers. Sponsor on a recent awareness trip to Uganda were treated to an exhibition of skills by the Ugandan mothers. The mothers have joined together to learn new skills and develop livelihood programs to become more self-sufficient. 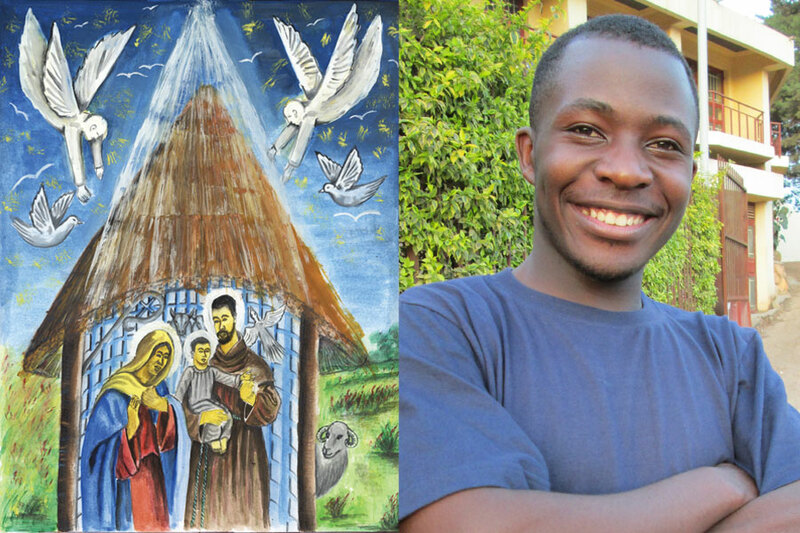 Richard, 22, from Uganda is one of the artists who contributed work for CFCA’s 2013 Christmas cards. Richard is pursuing a degree in development studies. He dreams of using his management skills to help his community in the areas of planning and sustainable development. Everyone in life deserves to feel special. For many elderly, the CFCA birthday celebration was the first time in their lives they had participated in such a special event. For the CFCA Kampala office in Uganda, the Birthday Fund made the party possible. David Herbison meets with his sponsored friend Moreen in Uganda in this 2011 photo from the CFCA archives. Sponsorship benefits helped provide for treatment when Moreen had malaria. Malaria affects the lives of CFCA sponsored friends around the world. Sponsorship can help provide medicine, mosquito nets and malaria prevention information in a supportive environment tailored to each family’s needs. Teddy Naluwu, Kampala project coordinator in Uganda and former CFCA sponsored child. I hope to transform others’ lives through my work with CFCA. My name is Teddy Naluwu, and I am 31 years old. I have been a part of the CFCA family for more than 20 years, first as a sponsored child and later as an employee. I have been working for CFCA for the past seven years, and I currently serve as Kampala project coordinator for Uganda, Africa. Personally, I am a true believer of change. I have seen myself transform from a humble “country girl” to project coordinator of a sizeable project. Because of CFCA sponsorship and the education I received, I am able to help break through the lines of poverty within my family. The CFCA-Kampala project believes that we can make the world a better place through our collective efforts. 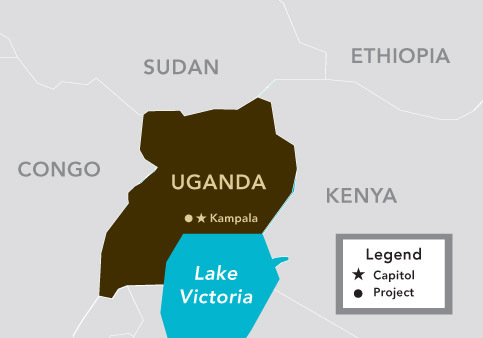 CFCA began working in this East African country, with an area slightly smaller than the state of Oregon, in 1993. Today Uganda’s population is estimated at more than 30 million people. Our Hope for a Family sponsorship program is based in the capital city of Kampala, with outreach to families in Masaka, Busunju and Ssekanyonyi. About 15 percent of the under-18 population in Uganda, or 2.7 million children, are orphans, according to a UNICEF report. “Bob’s notes” are reports from CFCA President Bob Hentzen, who regularly accompanies mission awareness trip participants. You can see Bobís full update on his Facebook page. Photo credits for Kenya and Uganda go to Regina Muburu, CFCA communications liaison for Africa. Photo credits for Madagascar go to Paul Pearce, CFCA director of global strategy. It’s always a joy to be in touch with you, this time from Africa. Together with Paul Pearce, CFCA director of global strategy, and Karen Allemang, CFCA trips and international volunteer manager. I had the privilege of accompanying a wonderful group of CFCA sponsors on this September 2012 journey to Kenya and Uganda. Rosemary is from Uganda and was orphaned at age 6. After her parents passed away, she went to live with her uncle and his seven children. With the high cost of attending school, Rosemary had no hope that she would ever receive an education. 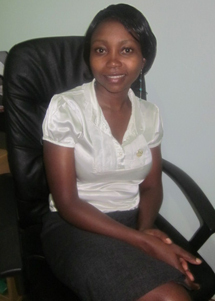 But when CFCA welcomed Rosemary into the program, her life completely changed. Read the full story about Rosemary in Uganda.